Put all ingredients in a blender and process until smooth. Serve and enjoy. 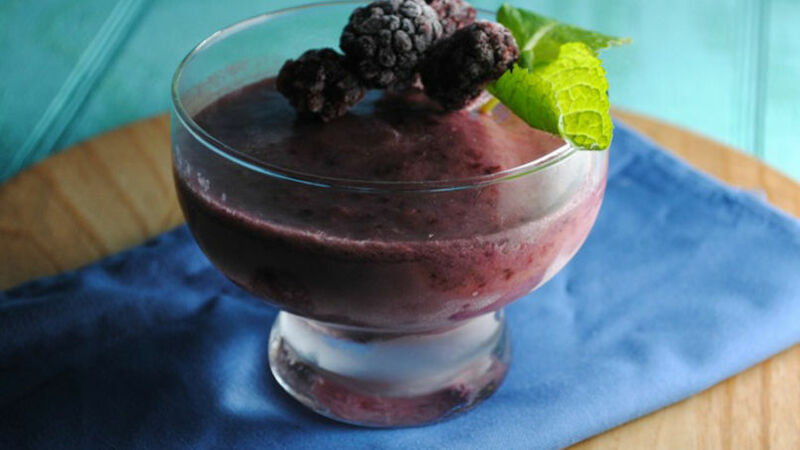 Swap out – Use any frozen fruits you enjoy or freeze summer fruits to enjoy this smoothie during the winter months. Begin the morning with a fresh fruit smoothie! Keep your freezer stocked with frozen blackberries and peaches to enjoy this frosty morning drink every day of the week.